According to Colin Powell, the retired four-star general and former United States Secretary of State, learning to give a salute can be life changing. 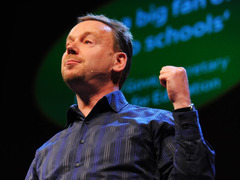 Geoff Mulgan: A short intro to the Studio School At TED, many have shared what they believe to be missing from our current education system — Ken Robinson says its space for kids to flex their creative muscles while Geoff Mulgan argues it’s a lack of hands-on doing. But in today’s talk, given at TEDxMidAtlantic, Powell gives a very different answer. He says that what kids really crave is structure. To explain what he means, Powell tells his own story of growing up in the New York public school system. He admits that he wasn’t a very good student. Powell says that it was the army’s sense of order that allowed him to change his course and become one of CCNY’s most famous graduates. And it’s a phenomenon he sees repeated whenever a new class of shows up for boot camp. To hear Powell’s ideas on how to provide structure, and the importance of “the gift of a good start,” listen to his talk. And here, watch more talks by and about military generals. 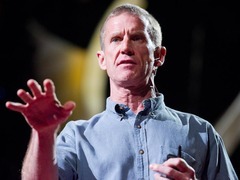 A fellow retired U.S. Army four-star general, in this talk from TED2011, Stanley McChrystal gives unexpected thoughts on leadership. His take? That it’s as much about absorbing the wisdom of the people around you as it is about giving orders. In the U.S. Navy, admiral is the equivalent rank to general. 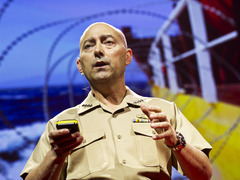 Here, a talk from admiral James Stavridis, one of the few high-ranking military officers in the United States who tweets and blogs. In this talk from TEDGlobal 2012, he shares why he believes the security of the future will be built with bridges rather than with walls. 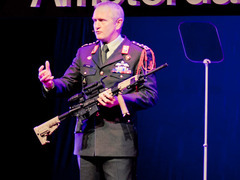 A retired four-star general in the Royal Netherlands Army, as well as his country’s former Chief of Defence, Peter van Uhm says that his career path has been motivated by a deep love of peace rather than a hunger for war. In this talk from TEDxAmsterdam, he shares his story. You may know him as a tasty plate of fried chicken in sauce — but who was General Tso? Was he even a real general? 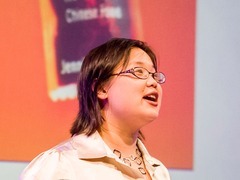 Journalist Jennifer 8. Lee investigates the origins of popular “Chinese food” dishes in America, including General Tso’s Chicken. In this talk, she tracks down the background of the Qing dynasty military hero and visits his distant relatives — who were shocked that the dish named after the icon was even considered Chinese.